Enigmon Level 1-32 Walkthrough, Solutions, Cheats, Answers for iPhone, iPad, Android, Kindle, iPod Touch and other device by EBR Inaya. Enigmon, one of the hardest puzzle game i’ve ever play! Not like other game before, you need to really think about some logic when you playing this game. Might need to tilt or shaking your device sometimes, but with smooth gameplay you will enjoy it very well! There are total 32 levels in Enigmon, try harder to pass all! Enigmon are now available in iTunes Store, Google Play and Amazon! Download and have fun now! Enigmon Walkthrough are proudly present by Game-Solver.com. This is the walkthrough for Enigmon Level 1 Solutions, Cheats, Answers for iPhone, iPad, Android, Kindle, iPod Touch and other device by EBR Inaya. 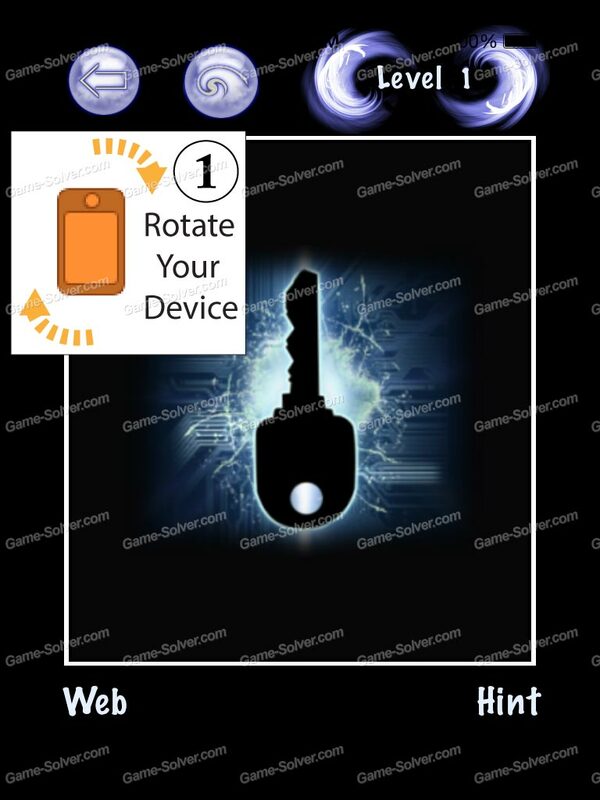 Keep rotate your device like a turning a key. Try more until the level passed.